I can't believe the Spring Fashionista Event is almost here! Just a few more days, actually! Our fearless Fashionista leader, Shelley, worked long & hard to get a Look Book ready so that all our readers could get a tasty preview of the items being given away when the Spring Fashionista Event goes L-I-V-E on March 7th --- If you want to check it out, view the Look Book below. Are you excited for your chance to enter to win?! 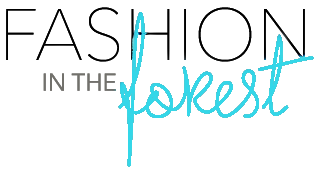 In case you didn't know - the Spring Fashionista Event is the Web’s largest and only ALL FASHION, ONLY FASHION blog giveaway EVENT. Taking place March 7- 13, every giveaway will be valued at $125 – or more! Most of the bloggers have put together prize packs worth several hundred dollars! With more than 115+ bloggers participating in the Spring Fashionista Giveaway Event, there will be more than $26,000+ worth of prizes to win! 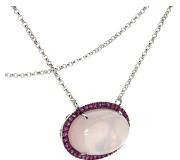 And if all of this wasn’t enough… The Fashionista Events Look Book is offering you the chance to win a this stunning Rose Quartz and Pink Sapphire 16” necklace from Fine Jewelry by Carol Brodie. This pretty bauble retails at $299! 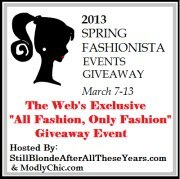 The Spring Fashionista Giveaway Event is the amazing brainchild of The Chief Blonde at Still Blonde After All These Years. Her co-hosts for the event are Katy Rose of ModlyChic and Kristyn of K Squared Glamour. Don't forget to visit our Main Event Sponsors: Midnight Velvet, Emma Parker Diamonds & Bobbi-Toad who are providing $1200 in Prizes! One more thing....make sure to follow our PINTEREST board w/ sponsor Monroe and Main for last minute Spring Fashionista Events giveaway additions! I'd love the Midnight Velvet GC! The excitement is growing and I can hardly wait to enter these giveaways for the chance to win.